Bergey's Manual Trust was established in 1936 to sustain the publication of Bergey's Manual of Determinative Bacteriology and supplementary reference works. The Trust also recognizes individuals who have made outstanding contributions to bacterial taxonomy by presentation of the Bergey Award and Bergey Medal, jointly supported by funds from the Trust and from Springer, the publishers of the Manual. Bergey's Manual Trust was established in 1936 to sustain the publication of Bergey's Manual of Determinative Bacteriology and supplementary reference works. The Trust also recognizes individuals who have made outstanding contributions to bacterial taxonomy by presentation of the Bergey Award and Bergey Medal. 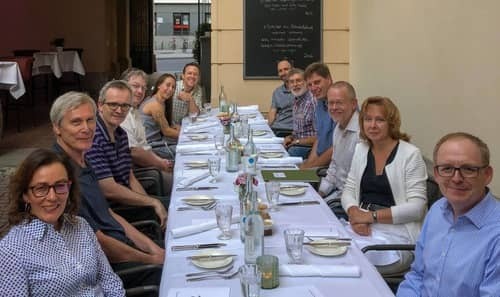 Bergey’s Manual Trust recently hosted a meeting to bring together experts on phylogenomics to discuss the incorporation of phylogenomics into the content and taxonomic outline of BMSAB. 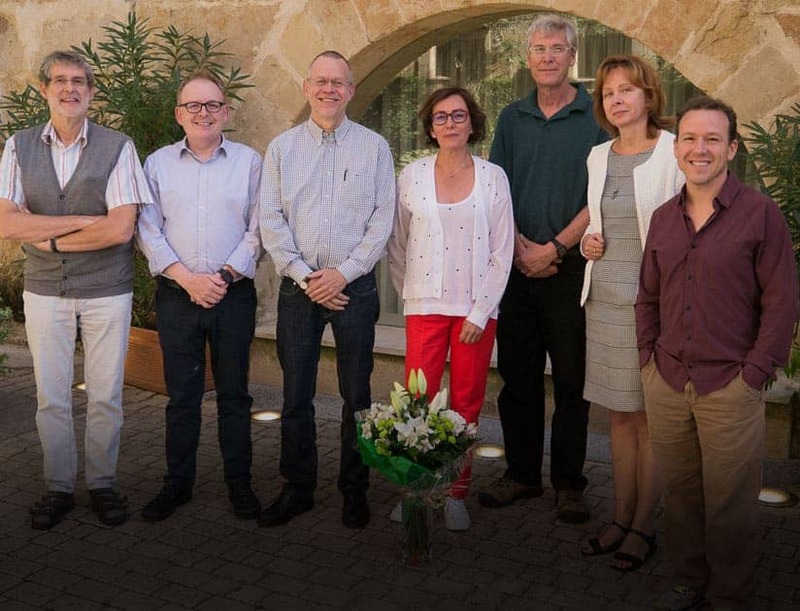 The meeting was attended by Phil Hugenholtz and Donovan Parks from the Australian National Genomics Centre, Frank-Oliver Glöckner and Pelin Yilmaz from the Max Planck Institute for Marine Microbiology, and Markus Göcker from the DSMZ. As a result of the discussions at the meeting it was decided that BMSAB will use the classification of the Genome Taxonomy Database (GTDB) curated by Phil Hugenholtz at the University of Queensland, Brisbane, Australia. Authors of chapters for BMSAB are encouraged to consult the GTDB web portal for information on the genome sequence based phylogenetic position of the taxa they are covering. Bergey’s Manual Trust will co-sponsor a symposium at FEMS-2019 (9 July 2019 11:30-12:30) entitled Linking Microbial Systematics and Ecology. Speakers will include Brian Hedlund, Svetlana Dedysh, Holger Daims, Andreas Brune and Susumu Sakata.